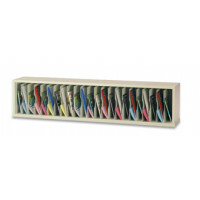 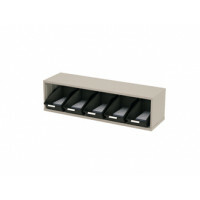 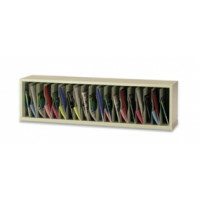 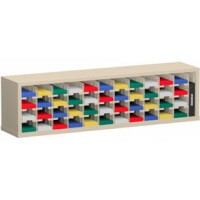 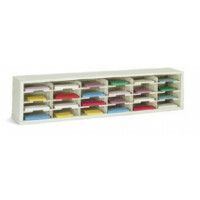 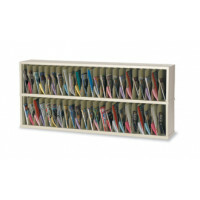 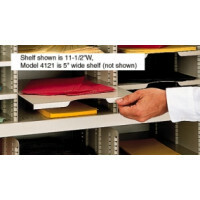 Package of 25, adhesive backed plastic label holders stick on to shelf lip for identification. 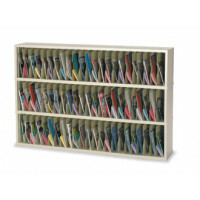 Includes 3"W non printer ready perforated white cardboard inserts. 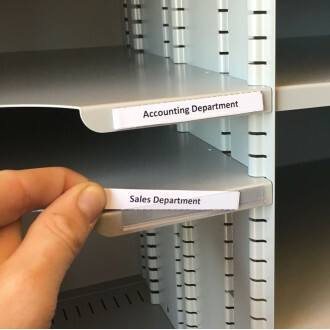 Inserts can be changed or moved as needed. Other shelf label packages are available, see: Part L22 - Velcro back shelf labels and Part L15- magnetic backed write-on shelf labels. 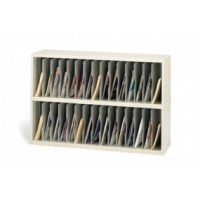 Includes 3"W non printer ready perforated white cardboard inserts. 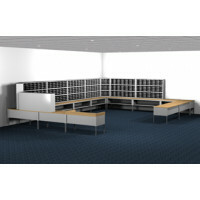 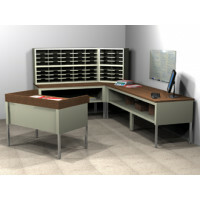 "L" Shaped Mail Room Furniture Station and Office Organizing Consoles with 128 Legal Depth Adjustable Height Pockets with 36" Deep Tables. 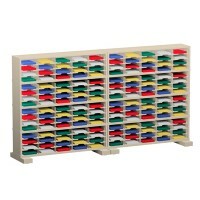 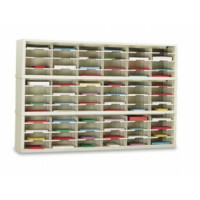 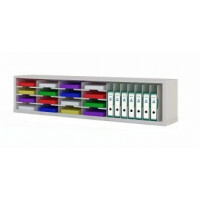 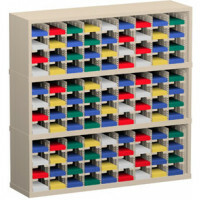 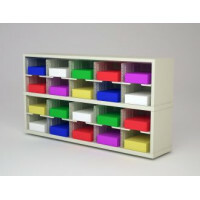 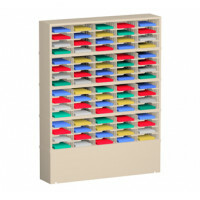 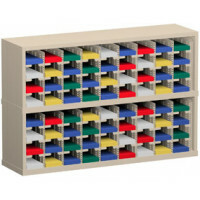 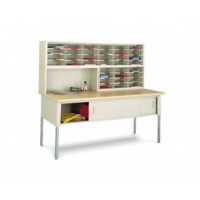 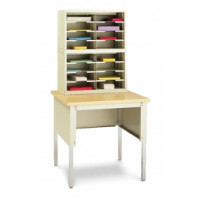 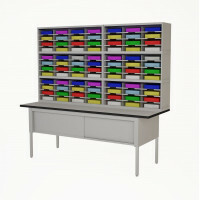 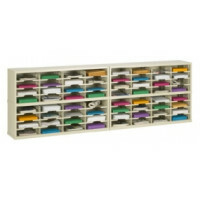 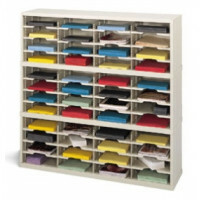 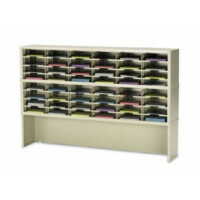 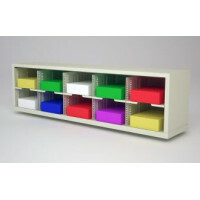 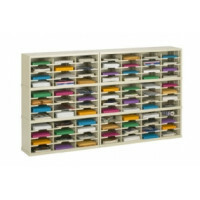 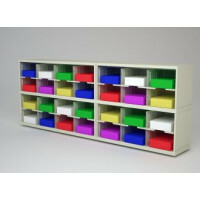 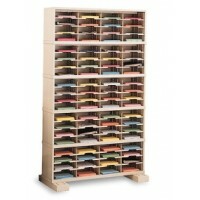 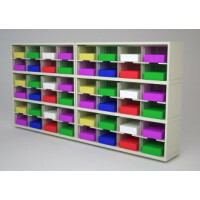 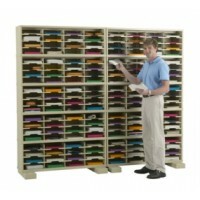 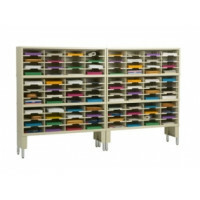 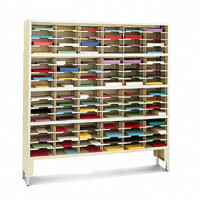 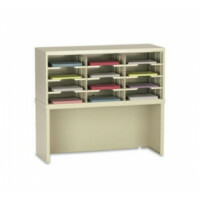 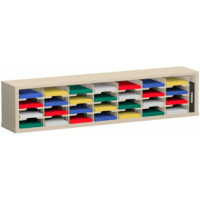 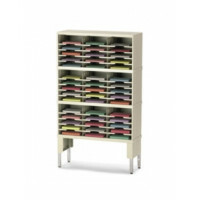 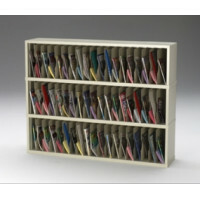 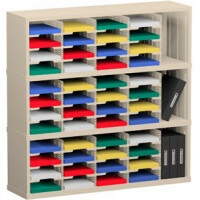 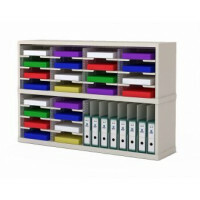 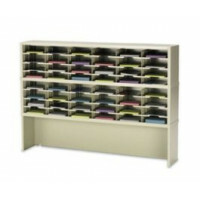 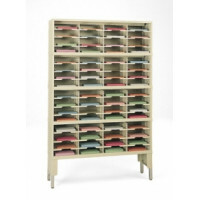 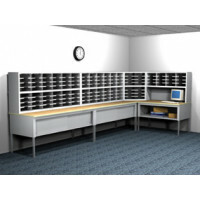 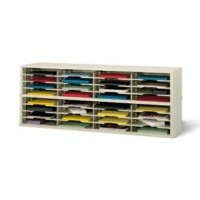 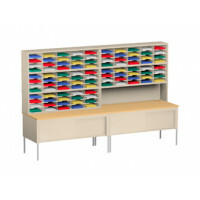 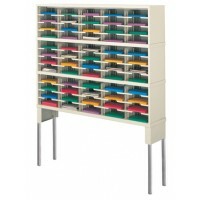 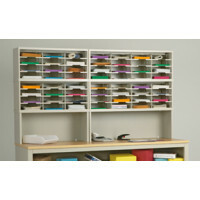 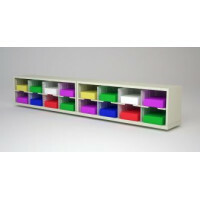 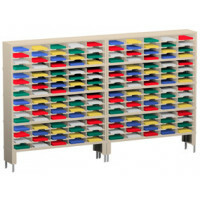 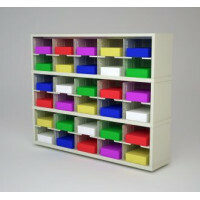 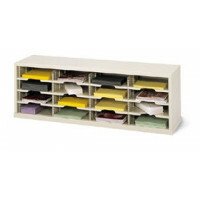 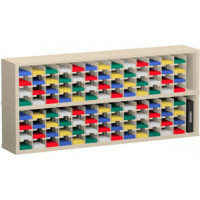 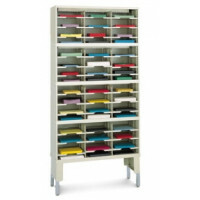 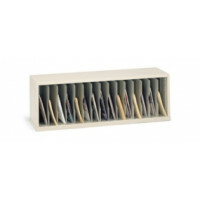 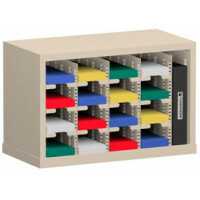 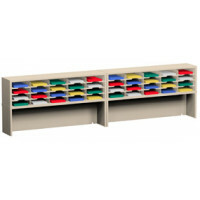 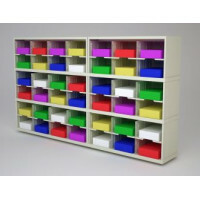 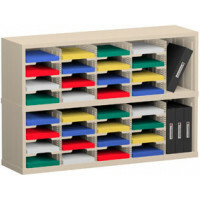 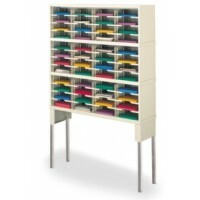 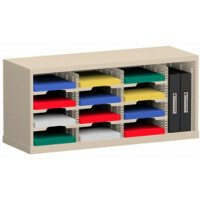 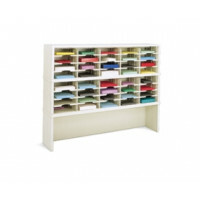 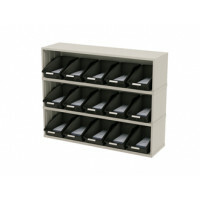 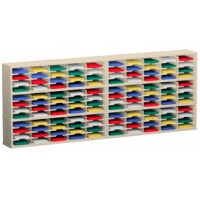 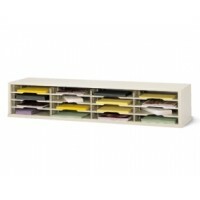 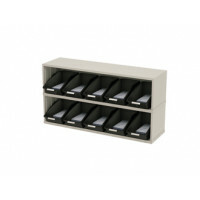 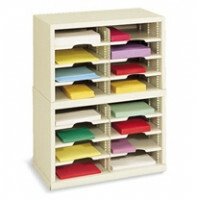 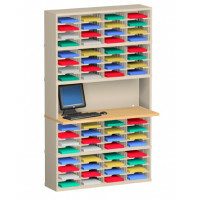 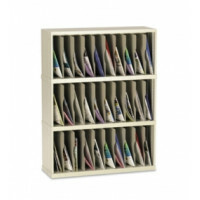 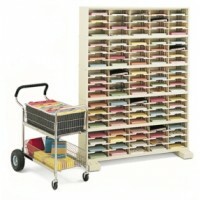 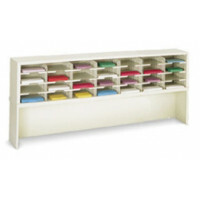 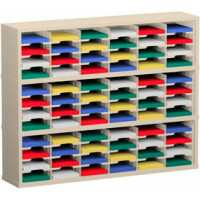 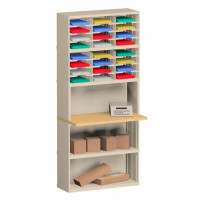 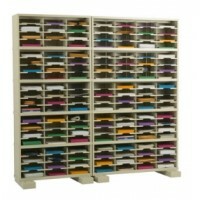 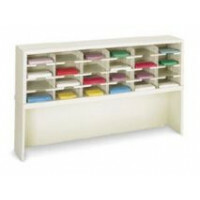 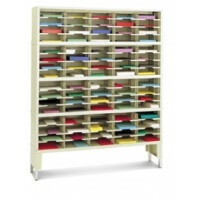 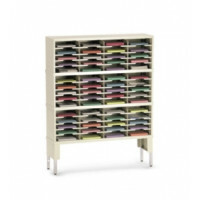 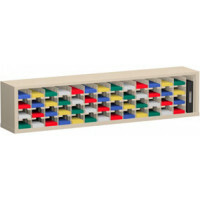 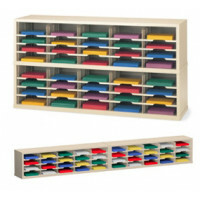 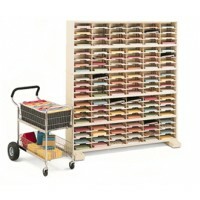 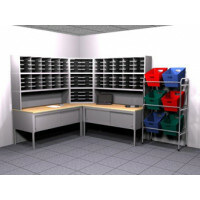 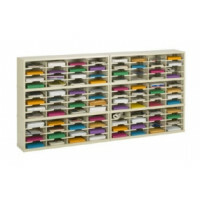 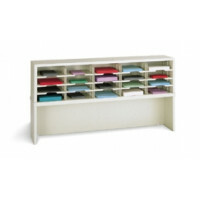 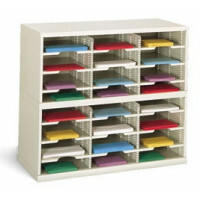 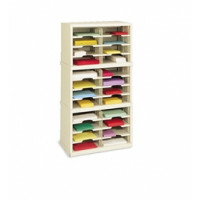 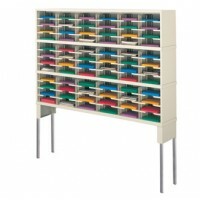 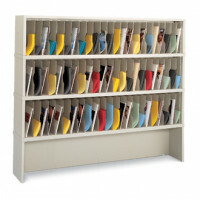 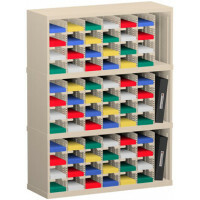 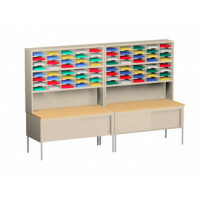 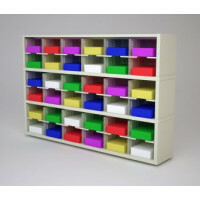 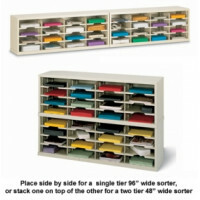 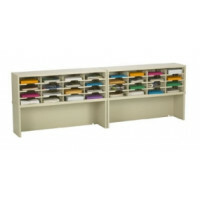 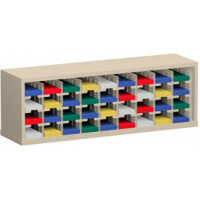 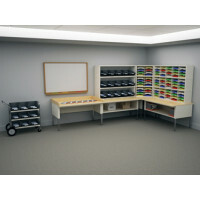 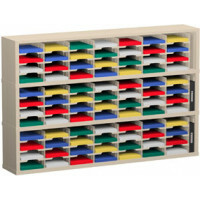 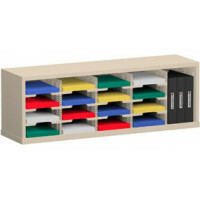 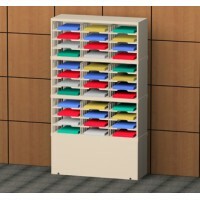 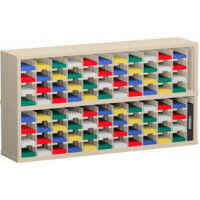 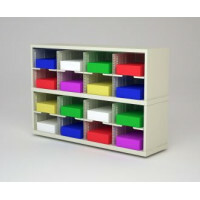 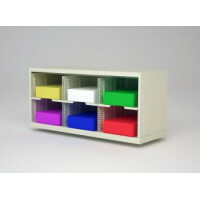 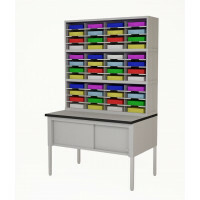 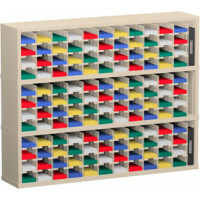 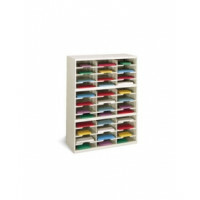 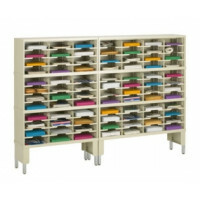 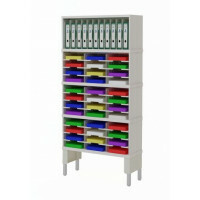 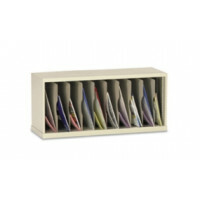 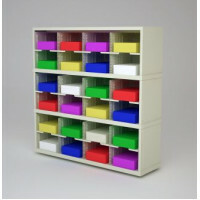 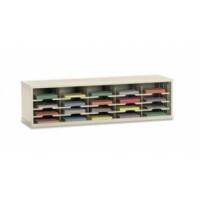 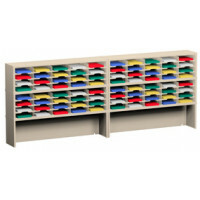 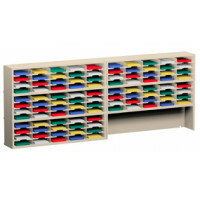 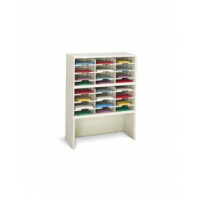 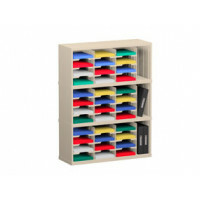 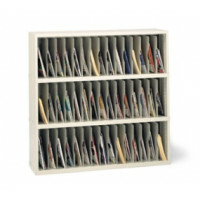 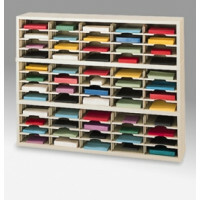 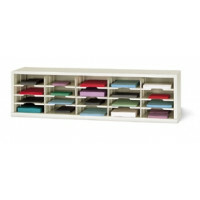 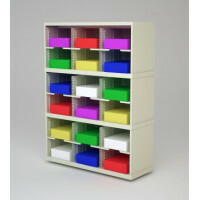 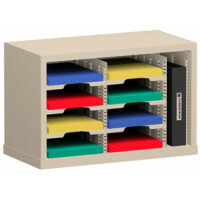 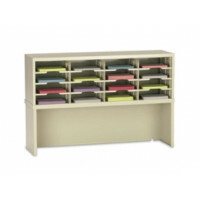 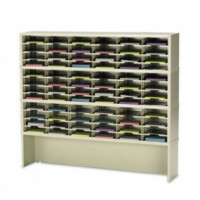 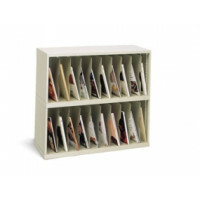 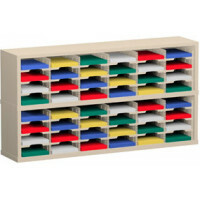 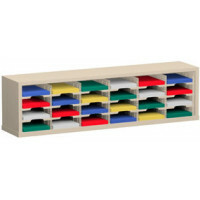 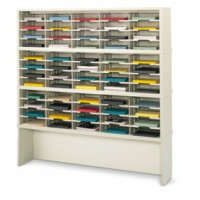 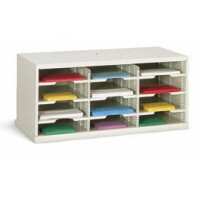 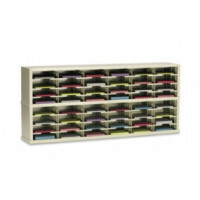 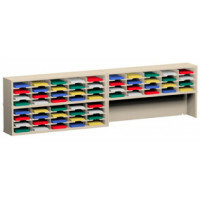 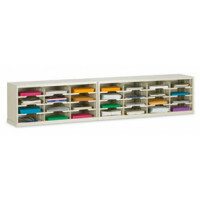 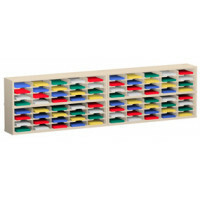 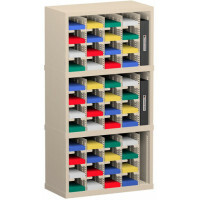 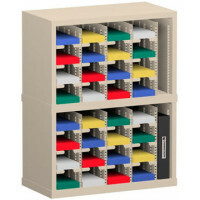 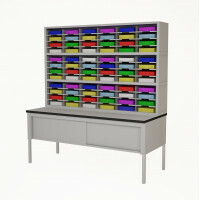 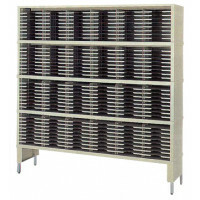 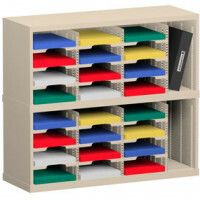 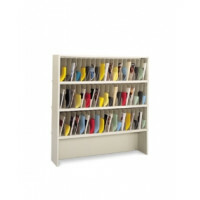 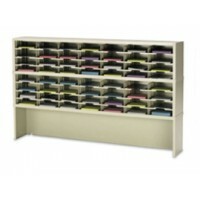 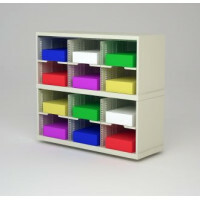 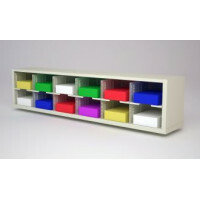 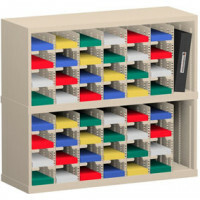 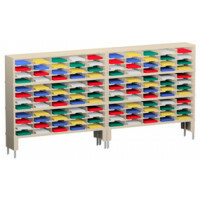 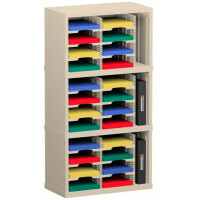 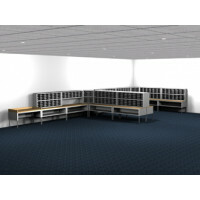 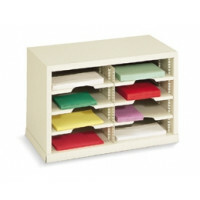 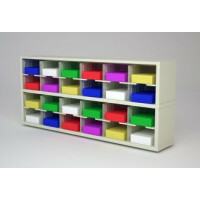 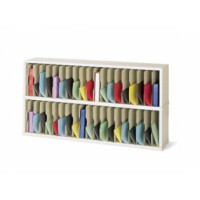 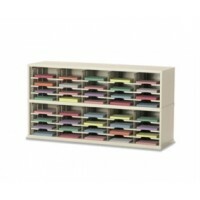 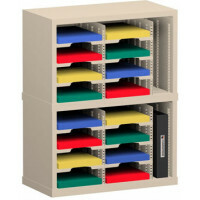 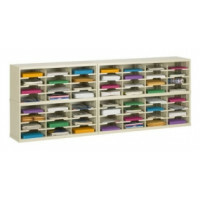 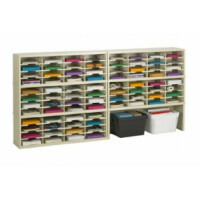 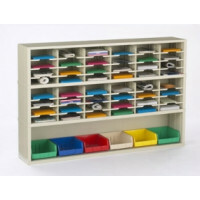 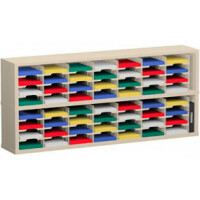 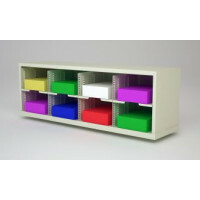 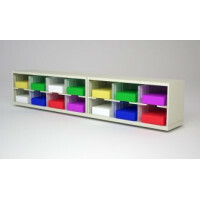 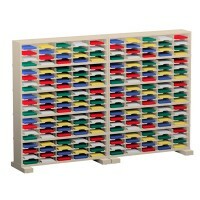 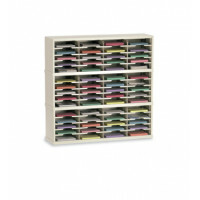 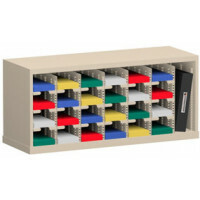 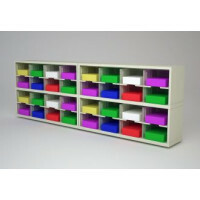 Mail Room Furniture Compact "L" Shaped Mail Center with 56 Pockets, Includes Sorters and Tables, Letter Depth. 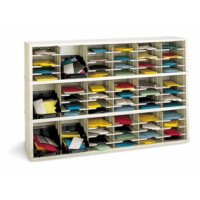 Mail Room Furniture and Office Organizer 504 Pocket Legal Depth Mailing System with Sorters and Tables Complete! 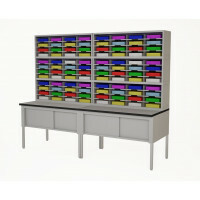 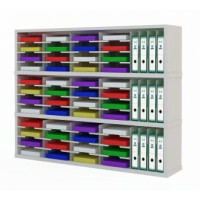 Compact "L" Shaped Mail Room Furniture or Office Organizer with 104 Legal Depth Adjustable Height Pockets with 36" Deep Tables.